Bone Swans ~ C.S.E. 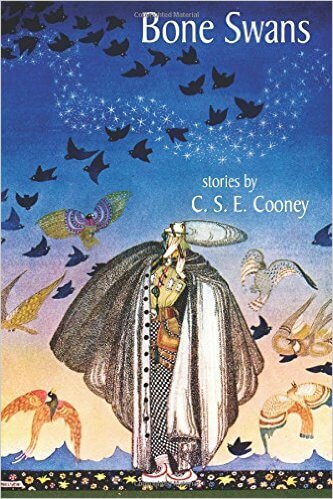 Cooney: I fiercely love fairy tales, but so far I haven’t found anyone on par with Angela Slatter in their creation. While Slatter is precise, evocative and moody in her work, Cooney is grander than life, but also truer to life and exuberant. A completely different extreme, an earthy storytelling that speaks to the primordial in our bones. When Cooney claps a rhythm with her hands, you stomp your feet and keep up. In many regards, she is The Pied Piper, who appears in the “The Bone Swans of Amandale” in his endeared, tragic fragility as a gentle man touched by the fey and quite maddened by it. Cooney deftly moves from humor to heartbreak to sinister cruelty that make you physically seize up in your seat – often within the same paragraph. Her characters and their interactions are honest and bely a lived-in life and world that doesn’t begin with reading the first page of each of the five novellas and doesn’t end with their resolution. Her treatment of well-known stories including The Pied Piper of Hamelin, The Juniper Tree, Sleeping Beauty, The Wild Swans (if my reference is right) and Rumpelstiltskin can be best described as raucous. She’s fearless in peeling the airy ether of fairy tales and giving themes the imperfections of meat. Her writing should be studied for its emotional intelligence and understanding of nuances in what people do when confronted with grief as she shows Hyrryai, all tender and grieving her sister, but also resolved to avenge her death and allowing herself to smile and laugh with her family in “Martyr’s Gem”, and how one should write children as human beings as we see in the disturbing “The Big Bah-Ha”. In the closing novella, Cooney digs into darker subjects and explores the vulnerability, bravery and strength of children often conflated into one state. 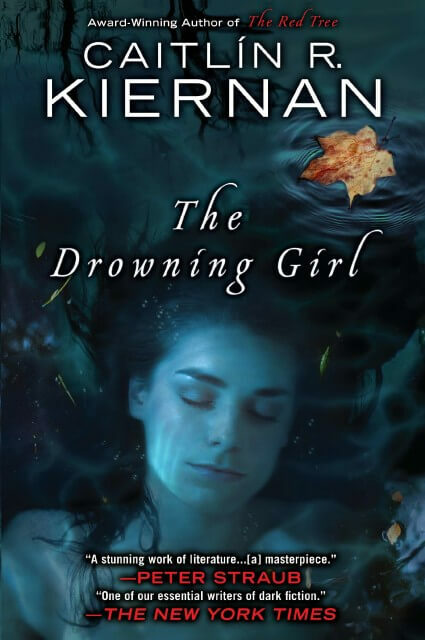 The Drowning Girl ~ Caitlyn R. Kiernan: Deceptively unadorned and barebones writing that at first made me dubious as to how much I’d enjoy reading this memoir, but Kiernan is a truly skillful storyteller and narrative engineer. The book states self-assuredly it’s going to be a ghost story about a mermaid and a werewolf and then goes on to layer references, images and additional character history to build up the mermaid and werewolf stories, tying one to a river and the other to a murder. No word here is throwaway and you have to pay attention to what is written to get the most out of the experience as India Morgan Phelps makes sense of her own story. This is the aspect that delighted me most about reading the book and intrigued me as a writer – the care, with which every scrap of information is gathered, presented and weaved into a coherent narrative. Not to mention the short stories and play, India writes and inserts into the manuscript of her memoir. 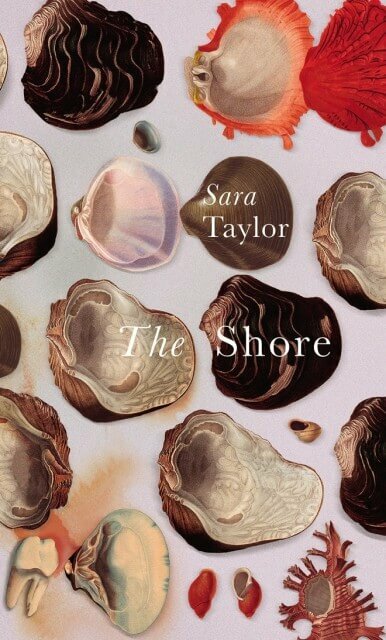 The Shore ~ Sara Taylor: I’m a sucker for mosaic novels and I thought to get my fix outside genre and instead chose Sara Taylor’s book, which is marketed and framed as a literary work. In its essence, it is as Taylor excavates the root system of a family line charted by the female members of the family and it’s the satisfying and harrowing drama you’d expect from such a book. The women shown across the span of 150 years suffer more than their fair share of pain and abuse at the hands of the men who should love them most. Medora, the fiercest, smartest, most cunning and originator of the family tree, starts this trend substituting the captivity she knew on her father’s property with the violence and deceit of her first husband. While she prevailed in the end, her descendants are not so lucky with Ellie and her daughter Chloe suffering the worst in the book. Where Taylor succeeds best in her time-jumping take on the family history is to explore the ancestral branch system and where it knots. Characters leading the story in one chapter later serve as a note of relation to help you approximate where the new narrator stands in this complicated and often unhappy family history. Quite interesting to now is how Taylor borrows elements from speculative fiction, which I’ve not known prior to picking the book. There’s a family on the island who can control weather. One of the women, Izzy sees immaterial boys who follow her silently through her day. The novel jumps to 2037 where most of humanity has been wiped out by an STD epidemic, but these are just surface details that don’t dominate the stories. The mechanics behind none are central to the plot or serve the actual lives of these people other than to build relationships and further the drama (though not cause it – it’s a fine line). Spoiler Ahead: I had problems with the final chapter as it went too far ahead in time to show life after the STD epidemic has wiped out most, the remaining survivors on this island have reverted to a primitive culture and birth defects and mutations are common. It’s here where Taylor shows great cracks in her worldbuilding as she tries to construct a new society where women are revered and pen an ending where the luck of the women in this family has now fully changed. But it shows she doesn’t come from genre tradition as her ideas are flimsy when interrogates and the change in style to show the deterioration jars and separates this ending from the novel as a whole. 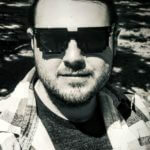 The standalone story I read in January is “The Glass Galago” by Alyx Dellamonica published on TOR.com and a rather enjoyable story. I’ve said many times I’m averse to read about ships and maritime adventures as I just can’t visualize the parts of ships, but Dellamonica proves a great exception. Set in her Hidden Seas world, this story is a delightful contained mystery that chops at a great pace and combines wit and charm to keep you reading. I feel as though I’d be able to excite myself over Gale Feliachild and Garland Parrish a lot more, if I had context of the previous published stories in this colorful world and the books. Even so, I greatly enjoyed the work – a straightforward, almost police procedural made all the richer and fuller by the great dialogue and studding the text with shiny pearls of worldbuilding here and there for extra spark.